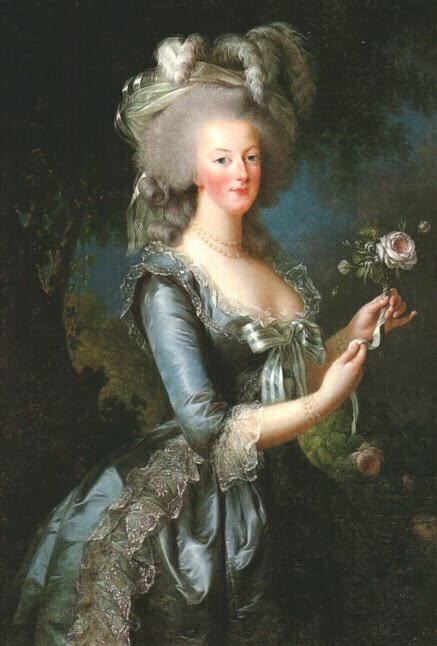 Although Marie Antoinette was hated by the French for her foreign origins (they blamed her Austrian influence for the problems of the country and nicknamed her L’Autrichienne), she actually had more French blood in her veins than her royal husband Louis XVI. Two of Marie Antoinette’s grandparents were French, while Louis only had one, King Louis XV. The royal couple were also cousins as they were both descended from the French King Louis XIII. Marie Antoinette inherited her French blood from her father, the charming Francois Stephen of Lorraine. Born in Lorraine, he was the son of Leopold Joseph, duke of Lorraine, and his wife the French Princess Élisabeth Charlotte d’Orléans, daughter of Philippe, duc d’Orléans, Louis XIV’s brother, and granddaughter of Louis XIII. Francois inherited the duchy in 1729 upon his father’s death, but was obliged to exchange it for that of Tuscany, something he did very reluctantly, when he married the young Empress Maria Theresa of Austria in 1735. Despite this, all his children bore the name Hapsburg-Lorraine and were brought up to think of themselves as not only Austrian but Lorrainers. I think that this qualifies Marie Antoinette as being as French as every other Frenchmen. Sadly, they didn’t.